The app called Tuingle, designed and developed to support your lifestyle. While everyone dreams to have a balanced lifestyle, only few could make it a reality. Tuingle has been created with an ordinary goal and that is to help people. 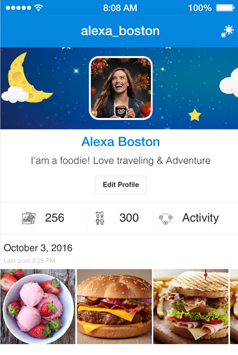 This FUNtastic user-friendly app is here to keep track of your fun and healthy lifestyle as it scans the nutrition amount you consume with your each meal. Client approached us with a unique requirement for an app, that is no dating app or gaming app. 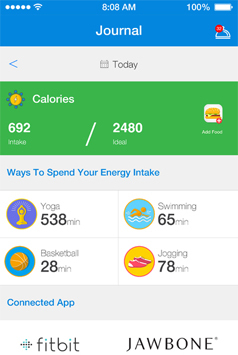 It's an app to keep a track on each and everyone's nutritional intake. We made the app just as we were expected of, smooth, fast and crash-proof. Besides, the app is easy-to-navigate for any novice player. 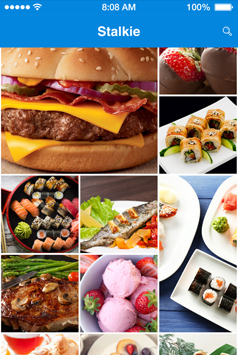 All it has to do is scan your everyday meal to fetch an accurate result. 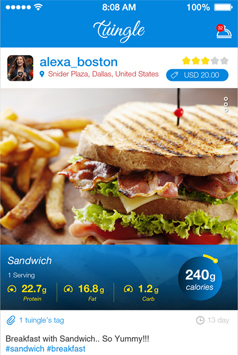 An app that can easily scan user's meal and tell about the nutrition being taken every time. Tuingle came out to be a solution that fit the needs and wants of client as well as end users perfectly – it's fast to load, smooth to navigate and also delivers quick and accurate scanning results. All a user has to do is snap, scan and share. It has been made incredible simple to be used by anyone. 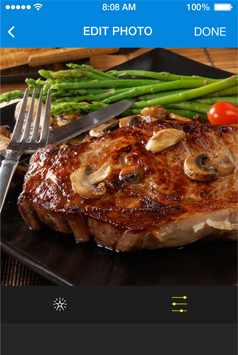 It has been conceptualized to pour some health and fun in everyone's life. Front-end As we know the development of an app is limited to specific mobile platform, for example Android, iOS, Rim, Windows, etch; we make sure which platform is being targeted by our client, at first. Our developers make apps ensuring best user experienced obtained from the ability to make the most of its functionality and device. Backend While we discuss the features to be embed in an app, we also make sure we are using the right and advanced set of technologies so as to run all the features smooth, fast and successfully. Developing Process The rise in demand has never caused disruption on our integrity and efficiency. While complying with each required development process, we also make sure there is enough room to upgrade and fit in. That's the development process we follow. Ideally, we prefer to follow the similar approach in each of development project, however that sure is not to say, we are rigid. Flexsin was very professional and patient with us on all the changes that were made along the way in..